At the end of February, the first pre-orders for the Sony Xperia Z2 began at £564, but back then it was noted that official pricing is yet to be confirmed. And today we have the real deal as Clove UK has listed Sony's flagship at £540. The availability date is still set for April 11, which suggests those manufacturing issues rumors might be off the mark. Carphone Warehouse also offers the Xperia Z2 pre-orders - it charges a bit more at £549.95, but promises to deliver the smartphone earlier, on April 7. Other stores are yet to list SIM-free prices for the latest Sony flagship. 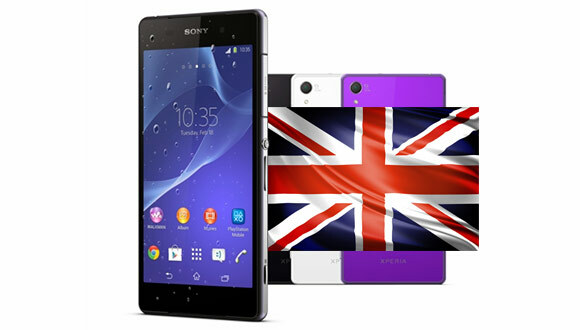 Sony has outdone itself and has partnered with UK carriers to promote the Xperia Z2 pre-order by any means necessary. A few days ago, we reported that Vodafone UK is actually bundling a free 32" Sony TV with every Z2 pre-order. Clove UK, too, is doing a promotion and throws in a free Sony wirelss speaker, noise-cancelling headphones and £80 of digital goods. O2 and EE are also going to offer the Sony Xperia Z2, but haven't put up prices yet. sorry to say htc phone are crap, i own 2 htc none of them are any good compare to other phone, especially the battery.